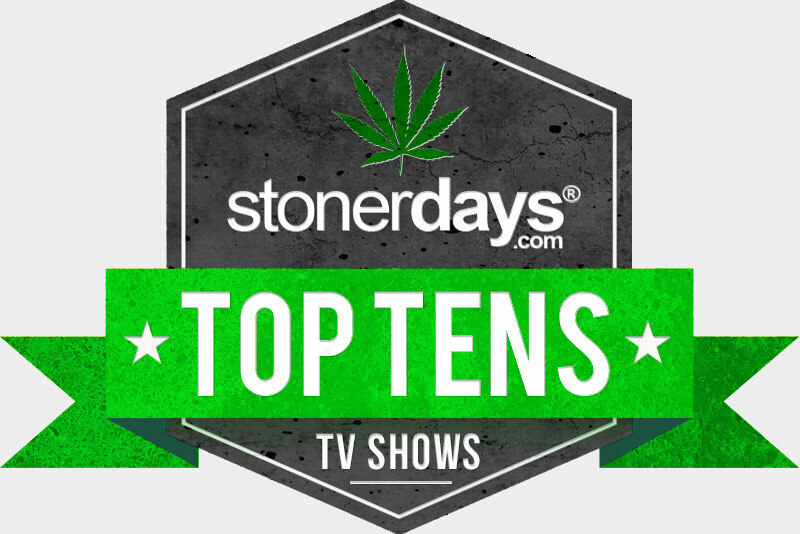 Gaining the #1 spot on this stoner show list is That 70’s Show. This series managed to put a smoking session in every episode, completely awesome. The teenagers in this show all come from different backgrounds and stories that make for hilariously funny plots and scenarios. While seated in their smoker’s circle you get to hear these kid’s conversations about life, love, and weed all from a stoners point of view. Bored to Death is nothing short of a stoner sitcom that’s based on a not so successful writer who decides to spend his spare time pretending to be a private detective, all the while staying high as hell. The show also involves his best friend who is always stoned and who never fails to call him up to take a hit. The private investigator missions they embark on are gut bustingly funny and filled with plenty of marijuana smoke. Weeds is a television show based on character Nancy Botwin who begins selling Mary Jane in order to support herself and two sons after her husband unexpectedly dies of a heart attack. This dark comedy tells the story of Nancy as she learns the marijuana business and begins spiraling into a world of illegal activities. 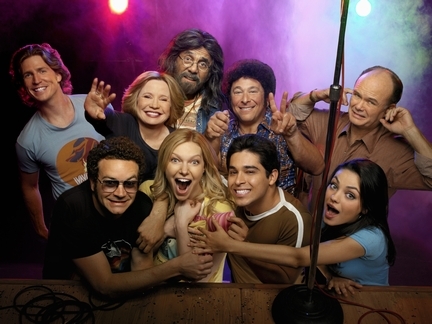 It’s an intriguing drama like show that stoners are sure to want to take a look at. Wilfred is a far out comedy that seems to only make sense when you’re stoned, and intensely funny. The story is based on Ryan, a young man who is down in life and decides to commit suicide by overdose and fails, but the drugs leave him with the ability to see his neighbors dog as an Australian man wearing a dog costume. Everyone else around Ryan sees Wilfred as an ordianry little dog. They form a bond and the show displays the two of them and their very odd relationship as Wilfred gives Ryan “advice”, and lessons on life. A really interesting and unique watch. This wildly creative show is a joy to watch when you’re stoned. Adventure Time is an animated series that follows “Jake the Dog” and “Finn the Human” in a magical world filled with inter-dimensional beings and princesses that need protecting. Every episode is definitely an amazing adventure filled with everything from astro-travel to missions in the underworld. The perfect show to have you crying-laughing and creatively thinking. If it’s time to get high, then it’s also Adventure Time! A classic piece of modern television that never fails to push the envelope and say exactly what you wanted them to, but didn’t think they would. A blissfully inappropriate program that’s great for chilling with firends when you’re blazed. You’re sure to fall in love with Cartman, Stan, Kyle, and the always dying, Kenny. This sketch commedy series is full of fun to watch and has all the right humor to get you laughing pretty hard. It includes sketches and spoofs of commercials, songs, and really any random thing that a person could think of. The show features many celebrity appearences which always makes for a funny watch. Family Guy does a superb job of putting together a plethera of random, edgy, and funny situations and packing them into one animation series. The Griffin family is everything but an average American family with a talking dog as the family pet who has a struggling writing career, and an evil genius baby who builds weapons of mass destruction, It’s a great show. Earl is just a normal guy trying to live his life the right way and right his wrongs. The plot of the show is about Earl making a choice to undo all of the wrongdoings in his life after loosing his $100,000 winning lottery ticket and believing it to be a result of bad karma. After completing his first good deed he is reuninted with his lottery ticket and uses his winnings to continue his good deeds. Paired with his slow witted brother and other misfits, it’s a great comedy. Educational and surprisingly intriguing to watch while puffing a fatty. How it’s made takes you inside multiple factories to see how the everyday items and products we use are made. The show has shown how things like bubblegum, guitars, shoe strings, and stuffed olives are manufactured. It provides interesting answers to some of the questions we have on how things get produced and into our homes.